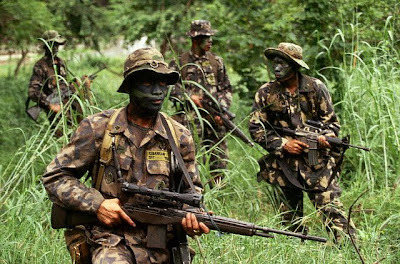 The presidential palace has given the military blanket authority to finish off the Abu Sayyaf, a Philippines-based terrorist faction with alleged ties to Al Qaeda. At least 3,500 soldiers are stationed in Sulu for the renewed campaign. Results of a recent Pulse Asia survey showed President Arroyo’s trust rating slipped to 25 percent. In the survey conducted from June 28 to July 10, military chief Gen. Hermogenes Esperon Jr. also got a low trust rating of 19 percent while Philippine National Police chief Oscar Calderon posted an even lower trust rating of 17 percent. The 1973 Constitution, through Article XV, Section 3, made a distinction between “Pilipino,” which together with English was made an “official language,” and “Filipino,” which was envisioned as the “common national language.” But what is the difference between Pilipino and Filipino? When is one used over the other? How are they viewed under law? "Once medical tourism in the country is in full stride, local salaries will become competitive and nurses, doctors, and people in the health profession would prefer to stay in the country," said a director of the Department of Health. Vietnam successfully revitalized its moribund economy starting in 1986. Since then it has powered ahead with an average annual growth of 8 percent while reducing poverty, thus achieving the elusive goal of sustainable economic growth and equitable income distribution. How can the Philippines learn from this?